Mr. Metcalfe laying a wreath on Remembrance Sunday at the War Memorial, Stanford-le-Hope. The weekend started (11/11/17) with a special breakfast with the Basildon Borough Veterans Breakfast Club. The commemorative breakfast was followed by an Act of Remembrance during which at 11 am precisely they all observed silence – marking 99 years on from the end of hostilities. The occasion ended with a Toast to the Fallen. Basildon Borough Veterans Breakfast Club are a group of veterans & serving members of Her Majesties Armed Forces. Like other Veteran’s Breakfast Clubs around the country & overseas, their ethos is one of mutual support, humour and shared outlook. Their aim is to enhance the social life of servicemen and women, maintaining the camaraderie enjoyed in their service days. That evening, Mr Metcalfe then opened the production of ‘The Sons of Three Countries Remembered’ at Woodlands School in Basildon. Part of the ‘Never Forget Project’, the evening’s performance proved to be a great achievement, showcasing all the dedicated work of those involved and befitting to those who have fallen for us. Mr Metcalfe said: “What a fantastic performance! Events like these are vital to broaden people’s understanding of the war, commemorate and remember those that were caught up in the events of a hundred years ago and to tell stories from fresh perspectives helping inspire a sustainable legacy of learning in the years ahead”. The Forget Never Project was initiated by Mr. Metcalfe and is coordinated by The Basildon Borough Heritage Group. This formally links with Basildon's twinning towns: Meaux in France and Heiligenhaus in Germany. The ongoing project delivers a series of commemorative projects discussing what life was like in the 3 towns. The aim is to inform, educate and share findings with the public through exhibition, film, educational resources and social media. The penultimate occasion of the weekend of remembrance came on the Sunday (12/11/17) where Mr Metcalfe joined members of the community of Thurrock at the War Memorial in Stanford-le-Hope to lay a wreath as part of Annual Service of Remembrance. 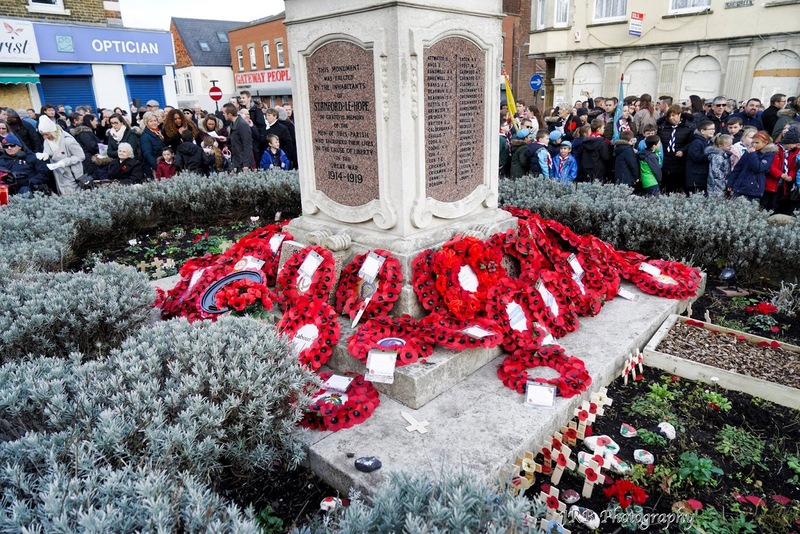 Marked by words from community leaders and a parade by A Company Essex Army Cadets, the event proved again to be ever more popular with in excess of a thousand in attendance. 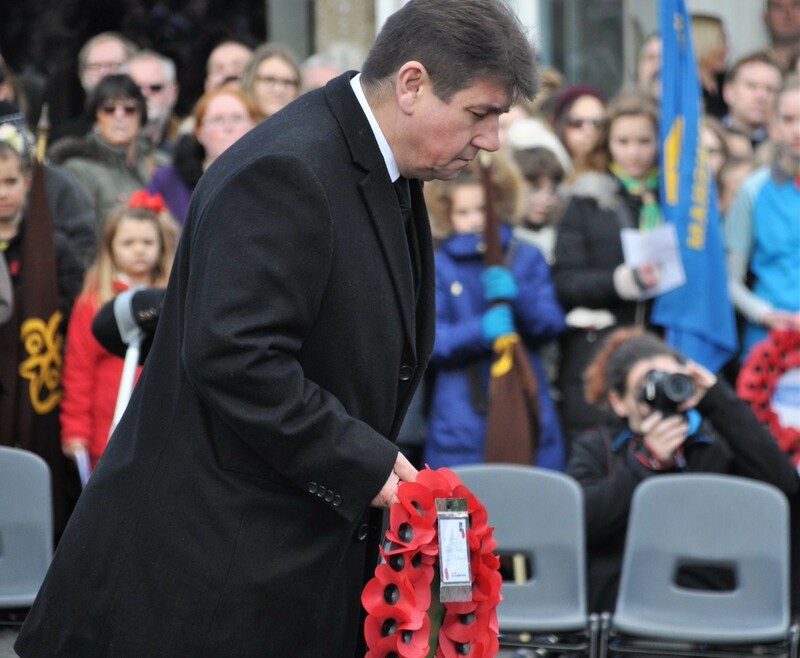 Mr Metcalfe remarked: “What a special honour I had to pay respect to our fallen heroes by laying a wreath. It was moving to see a large turnout from the whole community, young & old, come together to remember those brave men & women who gave their today for our tomorrow”. War Memorial on Remembrance Sunday, Stanford-le-Hope. Photo Credit: James R. Bayford Photography. Recently, I was privileged to have the opportunity to meet some of the professional Firefighters that tackled the tragic inferno at Grenfell Tower. 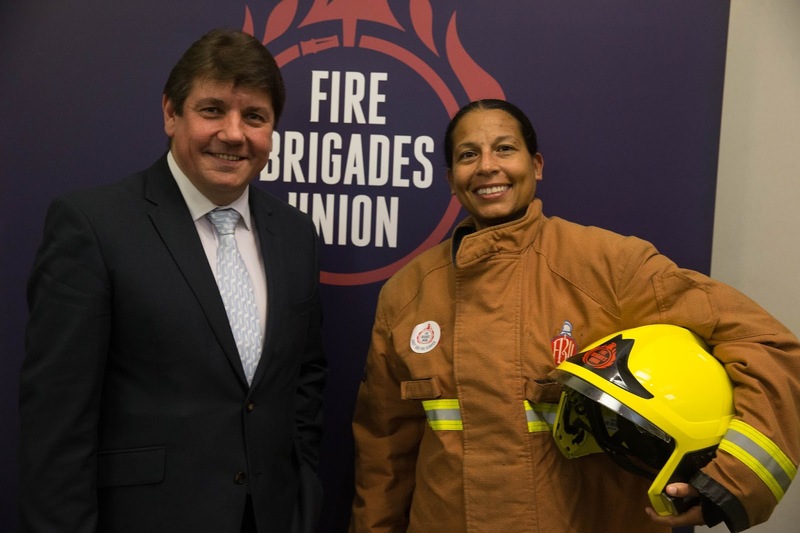 Hosted by the Fire Brigades’ Union in Westminster, the event successfully recognised and celebrated the invaluable work they do keeping our community safe. The maintenance of a world-class, professional fire and rescue service is something all political parties should support, I was happy to give my assurance to continue supporting the fire and rescue services that cover South Basildon and East Thurrock. Those who responded to the Grenfell Tower fire had their training and professionalism tested to the limit. All members of parliament should support our fire and rescue services, in the interests of both public and firefighter safety. Thousands of local people are on the NHS Organ Donor Register but hundreds of lifesaving transplants are being missed around the country every year because families don't know what their relative wanted. 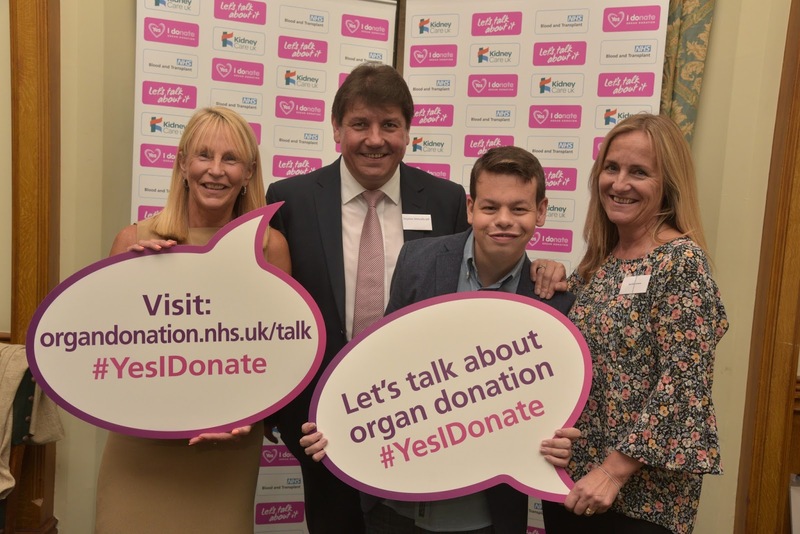 During the week, NHS Blood and Transplant, hospitals, charities, and supporters of organ donation are encouraging people across the UK to talk about organ donation with their relatives and friends. I'm happy to support this lifesaving appeal and it's really easy for everyone to take part: just have a chat with the people around you. That chat might be the next time you sit down for a meal, when you are shopping or working, or when you are just driving in the car. If you want to be a donor, your family's agreement is still needed for donation to go ahead, even if you are on the NHS Organ Donor Register. Families who agree to donate say it helps with their grief and that they feel enormous sense of pride at knowing their relative gave others the chance of a new beginning, so I would encourage everyone to do what they can to support this appeal. Wear it pink takes place during October's Breast Cancer Awareness Month and is now in its 16th year. Over this time it has raised £30 million to fund life-saving breast cancer research - but there is always more to do, so I would encourage everyone to sign up and help raise more funds for this worthwhile cause. Anyone can take part in wear it pink, which brings together schools, workplaces, and communities. All you need to do is wear something pink, or hold a pink event at home, work, or school, and make a donation to Breast Cancer Now. Whatever you do, you're helping the charity achieve its aim that, if we all act now, by 2050 everyone who develops breast cancer will live. The fact is, breast cancer is the most common cancer in the UK, and one in eight women will face it in their lifetime. Each year around 11,500 women and 80 men lose their lives to this awful disease. 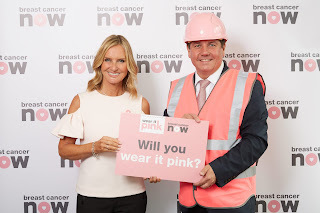 This is why I'm urging local people to take part in wear it pink in October. To take part, please visit www.wearitpink.org/2017 for further details, fundraising ideas, and how to register for your free fundraising pack. The not-for-profit aims to assist parents in keeping kids safe online and held a drop-in session in Parliament, alongside Google, to showcase the tools they both have available for parents and schools. Just in time for the new school term, Internet Matter have relaunched the schools section on their website. Research shows that schools are the most popular place for parents to seek help with online safety issues, so I was given a guided tour of the new resource hub which now includes a host of school programmes, training, classroom resources, and a communication pack to help schools drive engagement with parents. Likewise Google has already developed online safety tools such as its Safe Search feature which filters potentially offensive content, and the YouTube Kids app which allows families to watch child friendly programmes with peace of mind. As children increasingly live their lives online, internet safety is becoming more of a pressing issue for teachers and schools. All young people should be able to enjoy the wealth of information and entertainment available online in a way that is as safe and age appropriate as possible, and building a form of digital resilience is key for life in today's world. For more information on helping to keep children safe online, please visit www.internetmatters.org. I am delighted and humbled to have been re-elected to represent South Basildon and East Thurrock with an increased majority of over 11,000. A big thank you to the voters for putting their faith in me and also to my dedicated campaign volunteers who helped me run a positive campaign across all parts of our local area. I will continue to be a strong voice in Parliament for local residents, campaigning on important issues such as inappropriate development, options for a new Lower Thames Crossing, and helping every student to achieve their full potential. 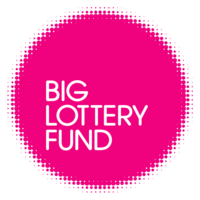 The Big Lottery Fund is a great way to obtain funding for your community group or project. Find out more via their website.